We don’t know how long it’s going to be before you can start driving a silver car with the light-up Apple logo on the hood, but we do know you can get all of the hardware to turn your current vehicle into a bonified Apple product. Apple Play is perhaps one of the coolest and most fun vehicle innovations introduced in a long time, at least as far as entertainment and IVI packages go. Apply Play is a system launched in 2014 to much hype, and is capable of overlaying (rather than replacing) atop the car’s current IVI (infotainment) system. According to Apple, it’s much more user friendly than other infotainment systems. Fact: Infotainment systems installed in vehicles are able to deliver both entertainment and informational content to the driver. Commonly abbreviated as IVI, multiple manufacturers have jumped onto the bandwagon, from Intel, to Microsoft, allowing users to have the best of in-car functionality. Microsoft, for example, has been providing Windows Embedded Automated 7 to a number of vehicle manufacturers including Kia Motors, Toyota, and Cadillac. Popular IVI systems, which can be overlaid by Apple’s new Product include: MyFord Touch, Entune, UVO, CUE, and Blue&Me. All of these systems are designed to function with little to no physical contact, making the overall commute much safer. Like the other IVI systems on the market, Apple CarPlay is capable of providing hands free operation with access to all of the features. To put it in simpler terms, the driver’s eyes never need to leave the road in order to enjoy the features the system has to offer, making it an optimal choice compared to conventional car radios, MP3 players, or CD-Players. The resemblance to the iPhone’s firmware will come in handy for Apple users as they will already be familiar with the enlarged icons and functions presented by the CarPlay system. We mentioned above that the system can be voice activated, and to elaborate further, it uses Apple’s digital assistant, Siri to complete voice related tasks. A great example would be driving down the street and saying “Siri, get me directions to the nearest coffee shop”. It must be noted however, that there are still many cars that are not equipped with voice recognition technology, and the system does not house any form of self-contained voice support. Fortunately, the Play is easy to navigate using the on-screen buttons or the analogue knobs. To increase and encourage motorist safety, the system locks the screen while CarPlay is active. While these are compatible, they are not an inherent part of the system, meaning the user will need to make an effort to download it themselves. Also bear in mind that system does not govern the car control systems, meaning you’ll have to exist to take care of basic tasks, like changing the driving mode and operating temperature controls. The iPhone is the only device compatible with the Apple CarPlay system, and every model since the 5 is capable of taking advantage of it. CarPlay does feature wireless capability, but you need to make sure you have a compatible device. If you do not, then the iPhone can be connected physically to the car via a Lightning-to-USB cable. All-in-all, it would be best to upgrade to the latest iPhone before you attempt to use CarPlay as you will be more able to avoid certain inconveniences. We get it, you want to jump onto the CarPlay bandwagon right now, but first you have to make sure that your car is compatible. Fortunately, there are multiple cars that are able to take advantage from all of the major manufacturers including Chevrolet, Ford, Volvo, and Honda. If you are buying a new vehicle specifically for CarPlay, however, you will want to avoid Toyota as they have resisted the system citing privacy concerns for their customers. 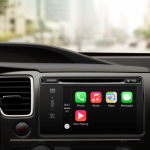 There is, however, a chance that they will change their mind in the future depending on developments and studies revealing whether or not the CarPlay system is more adept at keeping drivers focused. If you do happen to be looking for a new car, you will be glad to know that there are several already equipped with Apple CarPlay, especially in North America. Unfortunately, because the Software hasn’t been on the market as long as other accessories, the list of vehicles in which it is available is pretty short. If you obtain a compatible car, however, this shouldn’t be a problem. In the end, Apple’s Carplay is a suitable replacement for most of the IVI systems that come standard with today’s cars, and it’s something that you’ll want to look into if you want to be on the cutting edge of technology. 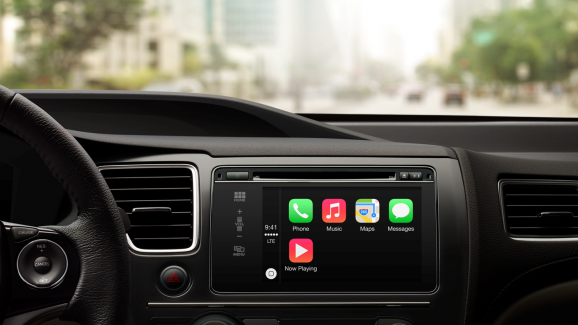 To recap, the Apple CarPlay system is the latest and greatest in IVI technology, but you need to ensure that your iPhone is version 5 or above, and you need to make sure you have a compatible vehicle. If you’re ready to drive into the future with a smart car, then the Apple CarPlay is probably one of the better choices, even if it does use the proprietary firmware found in most Apple products.